Ah, wooden bulb! Except the price ($88), everything else is just so cool about this wooden bulb. Knowing that technology is on an upward trajectory, few designers still have a nostalgia for basic aesthetics of yesterday. And this bulb is no different! 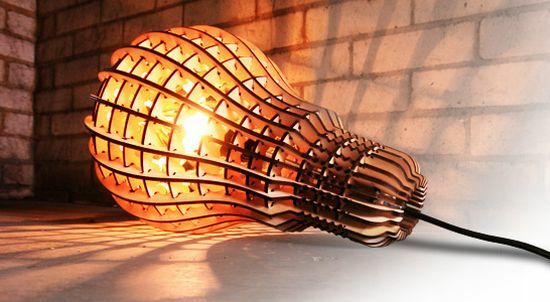 Designed by Barend Hemmes, the bulb is made out of laser cut plywood, lending a soothing waffle-like glow. It uses a 60W bulb that can be hung on a wall, or simply laid down on its side. Thankfully, the site also offers step by step instruction on how to change the bulb. I like it! Cellphone, a real utility product…funny huh! ← Liquid bullets: Ready for a shot?